Mamut is a test deploy-run-present software for Roku platform. It has a quick and easy installation and setup, supporting all operating systems. After that, it allows you to easily deploy and run tests on multiple Roku devices in local network at the same time, collects the results and presents them in comprehensible and exportable form. And all that in a simple UI in your browser. Roku tests are written in the same language as the code (Brightscript) – so no need for your developers to learn a new language. They are using a lightweight, non-invasive framework. You only need to copy few files into your project and make a small change to your main file to be able to run the tests – all with a minimal impact on your code base. Each test set/case is a separate file in a dedicated directory of your project containing the actual tests as simple functions. The core or MAMUT is a server written in Node.js. It is therefore easily deployable to all OS with a minimal setup. It then takes care of deployment of app package with test sets/cases to selected devices. The user connects to server trough a web browser. Server contains local network device discovery for Roku devices. 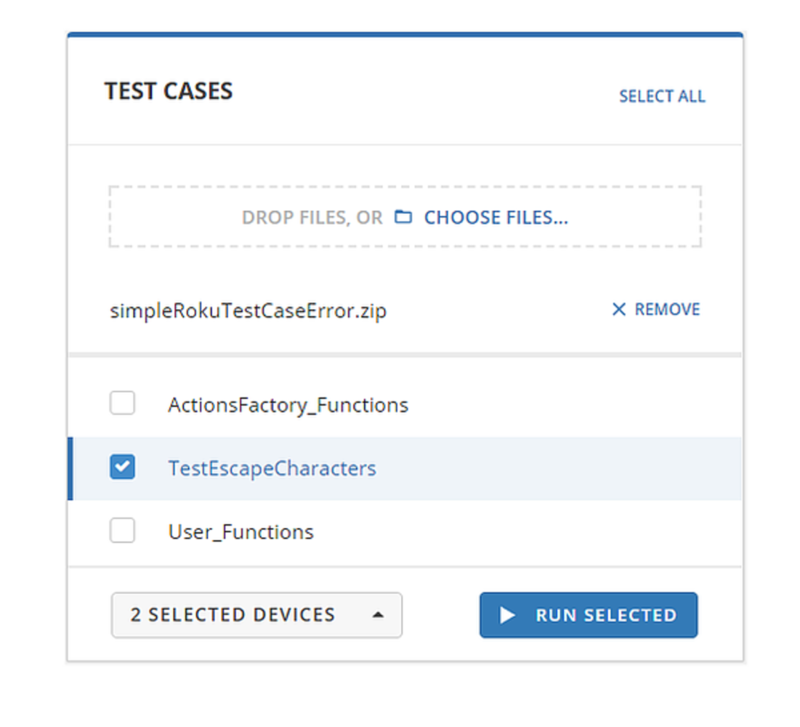 After selecting the devices and test sets/cases, it deploys the packages and waits for the results from the Roku devices for a certain time span and presents them to the connected 'clients'. User sees in the browser the test results and can export these as a pdf or csv for further machine processing. We at Mautilus help your favourite VODs and Broadcasters with OTT applications for ROKU and other platforms. Being developers, we know the struggle of testing - so we created MAMUT to make your testing on ROKU easier.